This multi day package at the tranquil Kruger Park Lodge provides an unbelievable experience of one of the most famous national parks in the world, the Kruger National Park. 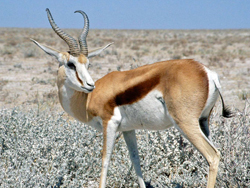 The Park is home to the "Big Five" and a large variety of other animal species found only in Africa. Depart Johannesburg at 9:30 am and arrive at Lodge at 3:30 pm. Guests then spend some leisure time at the Lodge followed by a delicious dinner. Enjoy breakfast at the Lodge and spend the rest of the afternoon at leisure. 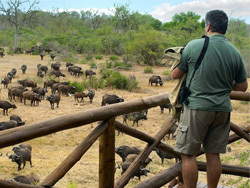 Guests then get to spend an evening at the Lodge enjoying the sights and sounds of the majestic Kruger National Park. This is followed by dinner at the Lodge. Breakfast is served before we depart back to Johannesburg at approximately 9:30 am. Each vehicle can accommodate 13 guests with small luggage or 9 guests with large luggage.